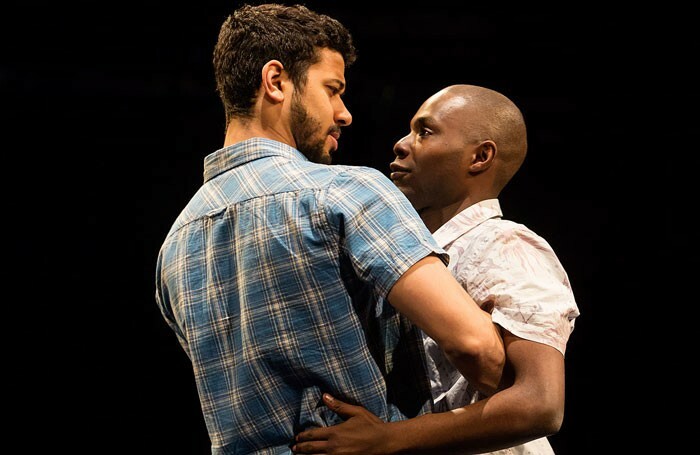 Chris Urch’s play, which won the Bruntwood Prize Judges Award in 2013, takes its name from a Ugandan tabloid that regularly exposes the names and details of gay men to its readers. However, while Urch explores what it is to live in Uganda with that threat hanging over you every day, his play is much more than mere ‘issue-theatre’: it is a play of tenderness and delicacy. Dembe is in a relationship with the dashing Sam, a doctor of mixed heritage from Northern Ireland. Dembe’s family is close-knit, united in song and faith. His savvy, studious sister Wummie has her suspicions about her brother but dare not voice them, while his other sister Naome has been mute for some months – she seems to have shrunk into herself, cutting herself off from the world. The production is playing here in rep with the Royal Exchange’s major co-production of Anna Karenina, with which it shares a director (Ellen McDougall) and some of the same cast. Fiston Barek and Robert Gilbert, as Dembe and Sam, have an appealing rapport, their scenes together creating a natural warmth. Barek is puckish, funny and a little reckless as Dembe, a man flushed with love and yet not blind to what it could cost him. Faith Omole’s Wummie is fierce in her intelligence and protectiveness for her beloved brother. Sule Rimi has a fitting richness of voice and an upright manner as Dembe’s older brother Joe, who also happens to be a pastor. While some of the things he says are ugly and hate-filled, Urch allows him to be a more complex and shaded character than his words might suggest – his faith has got entangled with fear. As a playwright Urch is not immune to cliche – the figure of the suffering sister, though beautifully played by the expressive Ony Uhiara (who plays the lead in Anna Karenina) traumatised into silence by this culture of secrets and lies, comes across as too much of a narrative device. The motivations of Dembe’s Mama – played by Donna Berlin – could definitely also do with a bit more unpicking. Nevertheless, the fluidity of his writing helps coast over these issues. It has a musicality and poise, it resists polemic and is gently celebratory in its depiction of love and all the various forms it can take. Ellen McDougall’s production is ribboned with songs of praise, with the joining of voices in prayer, but it also has a low-key quality – playing out in the round on a simple square of almost too bland blue carpet – keeping with the tone of the play. Its grip is subtle but also strong. 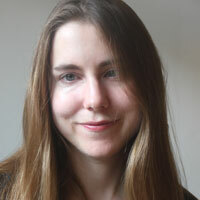 Natasha is The Stage's reviews editor and joint lead critic.